Mistral Group supplies 2 Enviro 200s to McColl’s Travel! 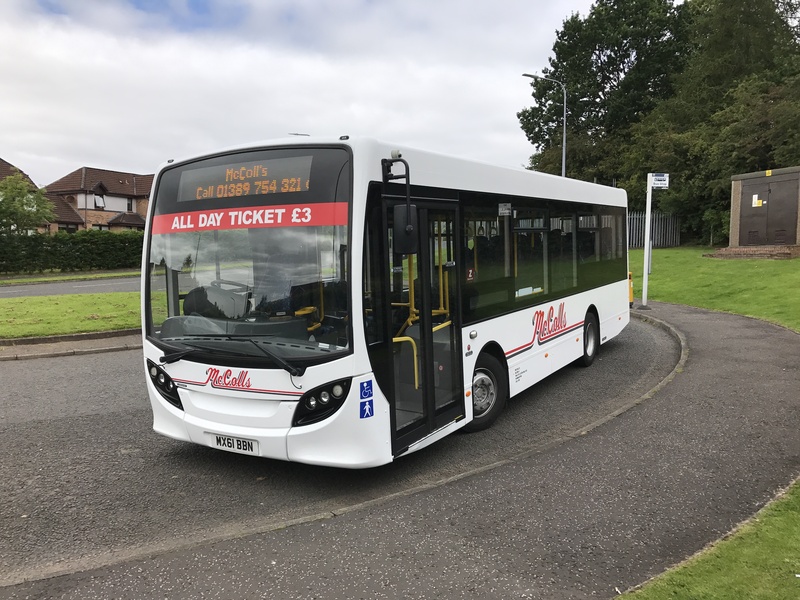 The Mistral Group, incorporating Mistral Bus and Coach and Mistral Asset Finance, have sourced, financed and delivered two Enviro 200 8.9 Metres to Scottish travel firm McColl’s. 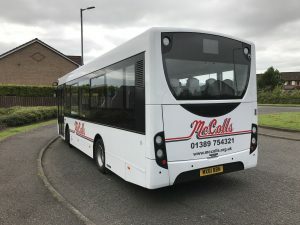 McColl’s are a UK Coach Hire Specialist company based in the West of Scotland. They are a family business with over 50 years experience in the industry and are based in Dumbarton just outside the scenic Loch Lomond. “As we have dealt with Mistral in the past, I had no hesitation in returning to them with our latest requirements. We were looking for used vehicles with low mileage, short wheelbase, seat belts and high quality seating, amongst other things. We specified a 4-week turnaround time and Mistral delivered the perfect vehicles, on time, as promised.